Top Chinese admiral, Wu Shengli, visited the United States last week to get an inside tour of the fast-attack submarine located in the San Diego Bay. Although it may seem strange to hear of the U.S. and Chinese militaries becoming friendly, both parties are making attempts to strengthen communicative ties and ease Naval tensions. Due to the rise of China’s maritime security, they’re a growing force that can’t be forgotten. Their relationship will hit a new historical level next summer when the Chinese Navy participates in the International Rim of the Pacific war games in Hawaii. This will mark their first year of participation with the U.S. and its Asian allies. As the feeling towards benefiting the relations between the U.S. and China are mutual, the choice to invite China to RimPac as well as give Chinese Admiral Wu Shengli a close look at aircraft carrier Carl Vinson and submarine Jefferson City are valid. At the end of Shengli’s visit, he saw the Marines at Camp Pendleton. As the United States continues to extend the olive branch, China lingers to reciprocate the friendly relation. As the largest seaforce in all of Asia, China is modern with a sophisticated submarine force and three new nuclear-powered ballistic missile submarines. Both the U.S. Navy top officer and his visitor, Wu, were hopeful and optimistic about the two nations joining together in the American war games in Hawaii. In 2012 alone, China and the U.S. conducted two or more anti-piracy operations off the coast of Africa. We will have an interesting story to follow as time continues. The relations between China and the U.S. look hopefully according to military affairs. The U.S. Navy and the FBI are forming a partnership in order to better investigate bombs and battlefield explosives. Allowing the two forces to work together will help to achieve more positive results on both ends. In San Diego, the FBI and Navy have been working together for approximately a decade beginning at the start of the wars in Iraq and Afghanistan. Both parties were able to identify many benefits that would come from shared knowledge and skill sets. Because the Navy has a plethora of encounters with improvised explosive devices, or IEDs, it’s imperative for the FBI to work with the Navy in order to accurately be able to investigate and identify the sources of these weapons. EOD technicians also see how these same explosives can be used as an advantage for crime scene evidence. Across the United States, you will find a tight-knit community of more than 3,200 non-military bomb technicians as well as 468 bomb squads. Although training together is extremely important for the safety of our nation, keeping consistency within these squadrons is key. 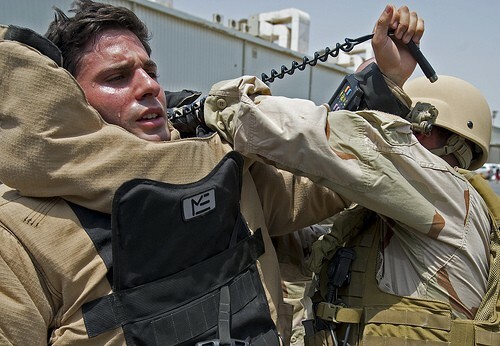 Every bomb technician must go through the certification program conducted by the FBI and the Army. All bomb technicians must undergo training with EOD techs to ensure that all rules, laws, and techniques are congruent. USS Peleliu is back from deployment! The Peleliu Amphibious Ready Group includes ships, sailors, and Marines that are all returning from eight months of deployment to the Middle East. According to the U.S. Navy, the members of the 15th Marine Expeditionary Unit are arriving at Camp Pendleton today. 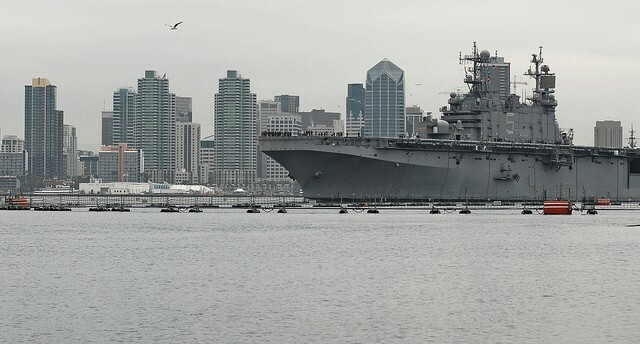 Naval Station San Diego will be expecting a visit on Tuesday from the amphibious assault ship USS Peleliu, the amphibious transport dock USS Green Bay, and the amphibious dock landing USS Rushmore. All three ships will be in San Diego tomorrow! The Peleliu Amphibious Ready Group was able to participate as a reserve force within the Middle Eastern region while conducting exercises and operations with allied militaries. The commanding officer of this ARG announced his pride for the eight months that his group spent at sea. Before the ships arrive in San Diego, each ship was allowed to ask friends and family members to participate in a â€œTiger Cruiseâ€ where sailors and family and friends can voyage the last leg of the journey together from Hawaii to San Diego. USS Peleliu is an amphibious assault ship named after the Battle of Peleliu during World War II. 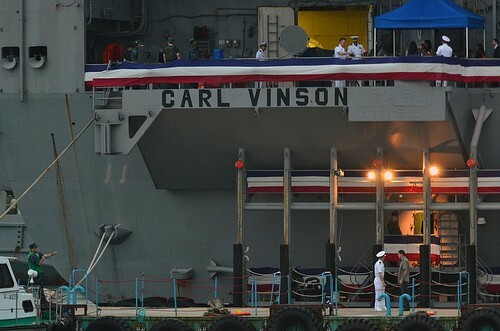 USS Peleliu was christened in 1980 and has been involved in multiple wars and uneasy times for the United States. Although it is uncertain, the USS Peleliu is scheduled to be decommissioned in 2013 or 2014 since it will be replaced with a newer America-class amphibious assault ship.